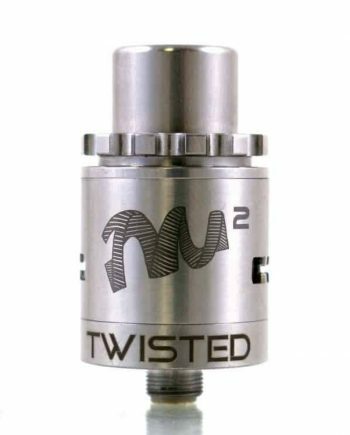 100% Authentic Vandy Vape and Alex from Vapers MD; the Phobia RDA. Vandy Vape has teamed up with Alex from Vapers MD again to create their third Atomizer, the Phobia. With big shoes to fill following the Govad RTA and the Berserker RTA, the Phobia RDA is sure to be another massive hit. 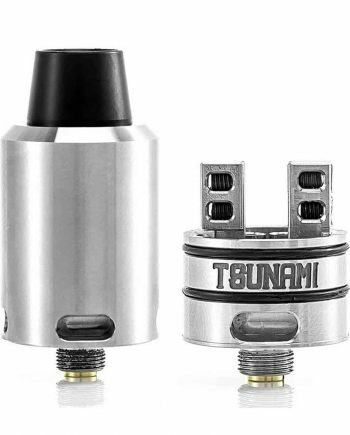 This RDA is a vapor monster with sufficient airflow to send room-filling plooms of vapor, while maintaining it’s affordable price point Vandy Vape is known for. The deck and posts are full stainless steel, with Gold-Plated Brass Post Screws for maximum conductivity. The Phobia uses smartly-placed posts for an easy to build deck and seamless coil installs! The juice well can hold a massive amount of juice, while still being squonk compatible with it’s included BF pin, for unmatched Versatility. Featuring a new unique tunneled airflow design, the Phobia uses a bottom airflow design that tunnels air from the base of the deck, directly beside the coil, assuring maximum surface area coverage of the coils like we’ve never seen before, for zero flavour loss! 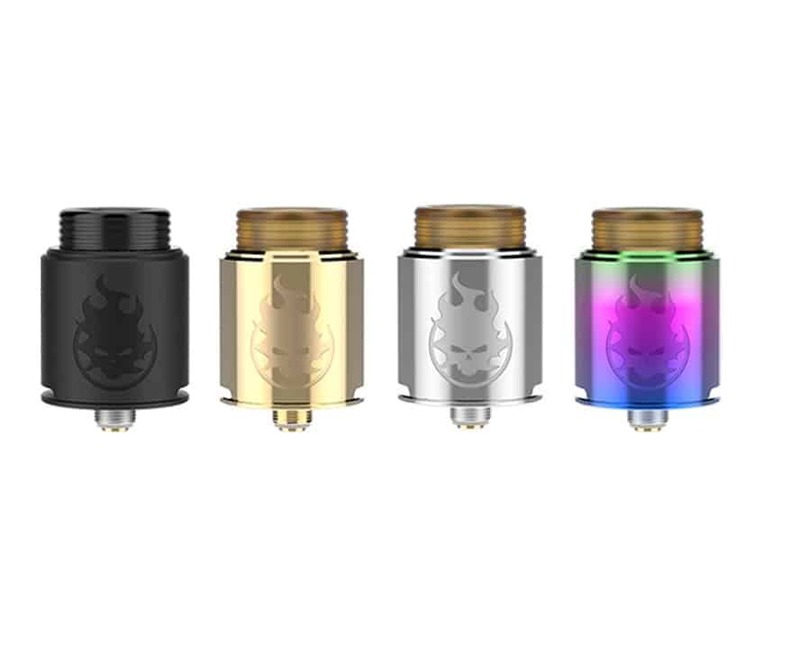 The airflow uses an adjustable airflow design, with very little moving parts, providing a simple to use RDA, that is both a flavour and vapor beast! 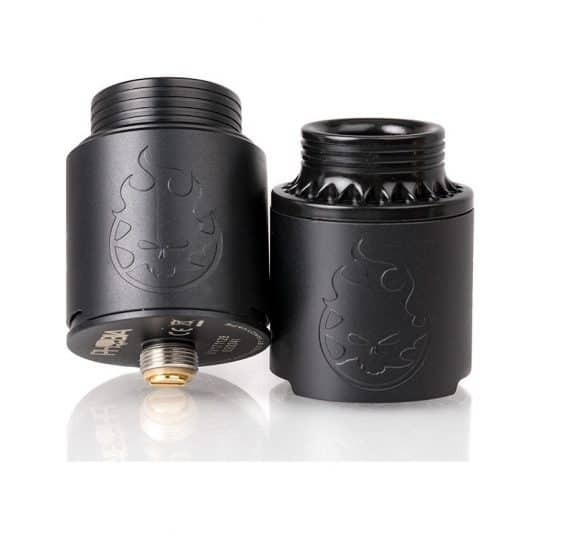 The Phobia RDA comes with both a standard 810 drip tip, and a 24mm chuff cap ensuring total customization of your RDA! 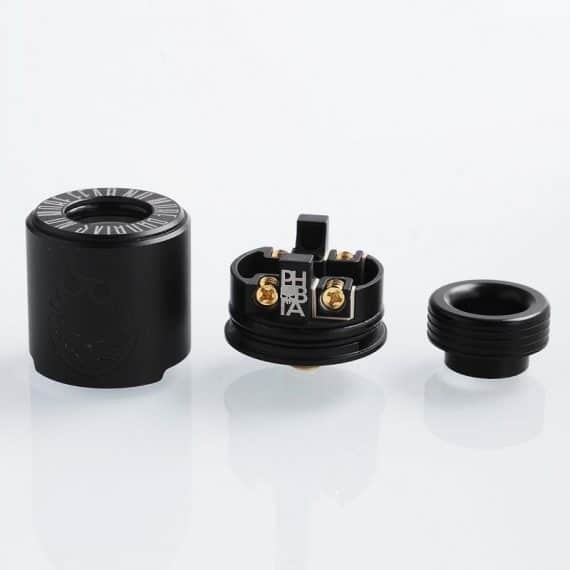 The Phobia RDA also comes with a 510 tip adapter allowing you to throw your favourite tip on, regardless of it’s size! 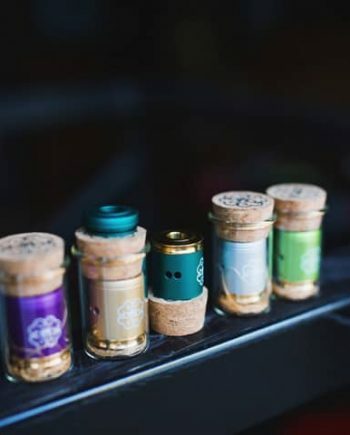 ****NOTE**** Rebuildable Atomizers are for Advanced Users Only! Please Read our Terms, Conditions & Waiver of Claims. Improper use can result in fire or explosion. Buyer Beware and Use at Your Own risk. Never build below 0.15 ohm resistance. Check all batteries and components for damage before using. Please Read and take these battery safety precautions seriously. Comes in: Black, Stainless Steel, Gold and Rainbow.